Students must be 3 years old by September and potty-trained. This class is a basic introduction to dance to develop gross motor skills and coordination. 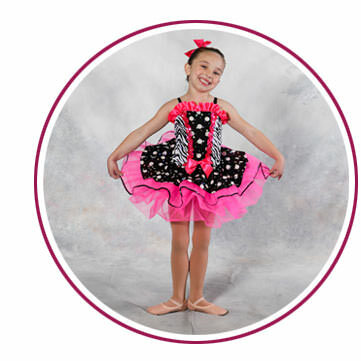 This Combination class allows students to learn the fundamentals of both Ballet and Tap. The class is divided into two 30-minute increments. This class allows students to learn the fundamentals of both Ballet and Jazz The class is divided into two 30-minute increments. An American theatrical dance style made popular on Broadway, Tap dancing consists of percussive footwork that marks out precise rhythmic patterns. 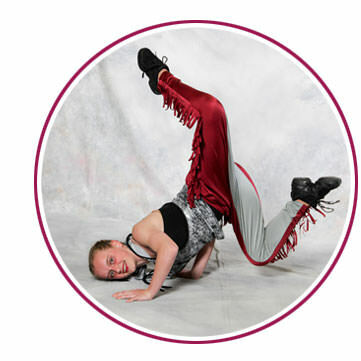 Students wear special shoes with metal taps on the bottom, and will learn the principles of rhythm, balance and timing through routines and across-the-floor work. As the student progresses, more intricate dance patterns and combinations are introduced. Jazz classes emphasize body line, precision, flexible torso work, isolations of the body, and turns. Classes include a proper warm-up, stretches, isolations, across-the-floor progressions, and combinations. Students must take at least one other class (Tap, Jazz, Ballet, or Pointe) to be eligible to take this class. Lyrical dance is a style that is influenced by Ballet and Jazz, where the dancer's movements tell the story of the music. Hip Hop is a more high-energy style of dance that's performed to street or funk music. Pointe class is the part of Classical Ballet in which a ballet dancer supports all body weight on the tips of fully extended feet. Students will learn and practice pointe barre work with an emphasis on correct foot and body alignment, as well as the study of the proper techniques for the execution of more difficult steps. Modern dance is an interpretive, contemporary style of dance with roots based in Ballet. An introduction to Irish Dance technique (jumping, hopping, skipping and pointing), and basic soft shoe steps, focusing on coordination, balance and musicality. 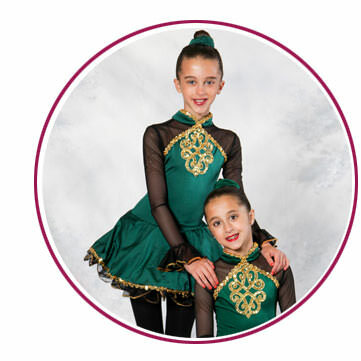 In the Hard Shoe Irish Step class, more difficult soft shoe dances are introduced, and dancers also begin learning hard shoe dances, such as the treble jig and hornpipe.